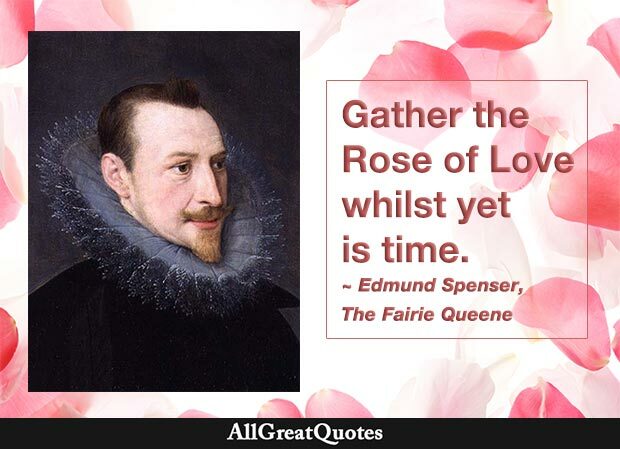 The Faerie Queene, Canto XII, Stanza 75. Why, what a wonderful piece of luck! Here is a red rose! 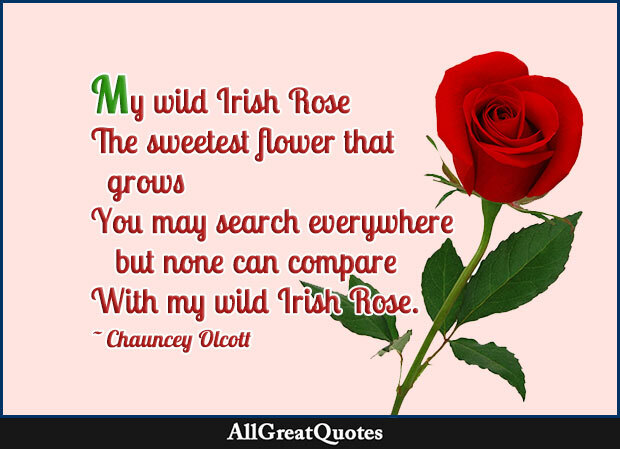 I have never seen any rose like it in all my life. It is so beautiful that I am sure it has a long Latin name. 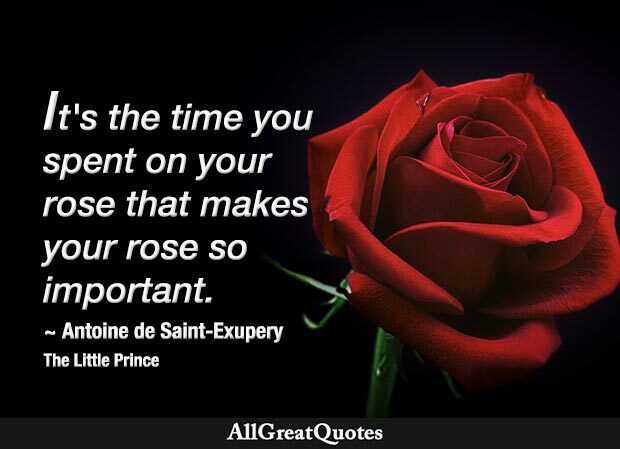 It’s the time that you spent on your rose that makes your rose so important…People have forgotten this truth, but you mustn’t forget it. You become responsible forever for what you’ve tamed. 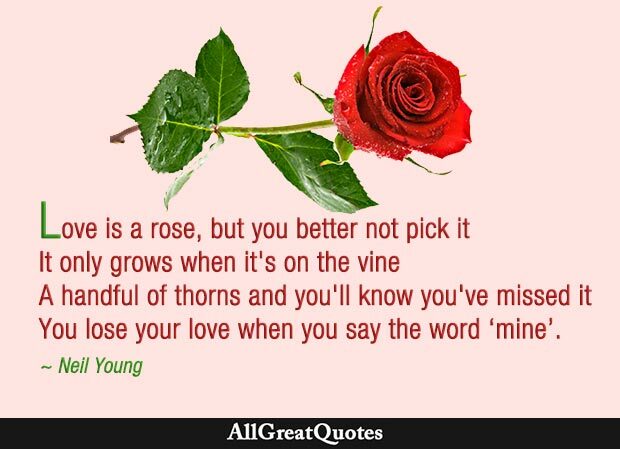 You’re responsible for your rose. The Little Prince, the Fox speaking to the Prince. It’s ok to feel delicate sometimes. 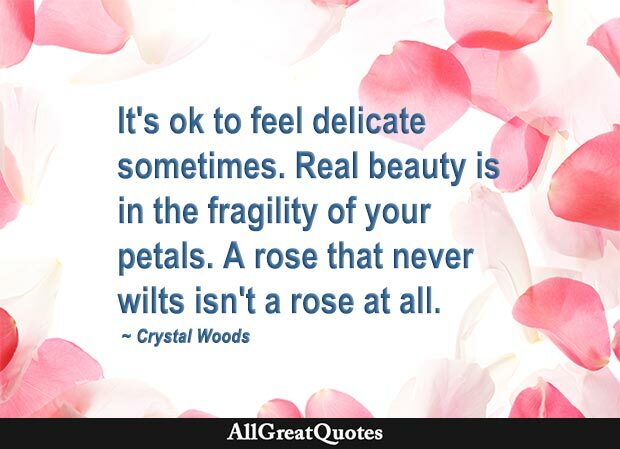 Real beauty is in the fragility of your petals. 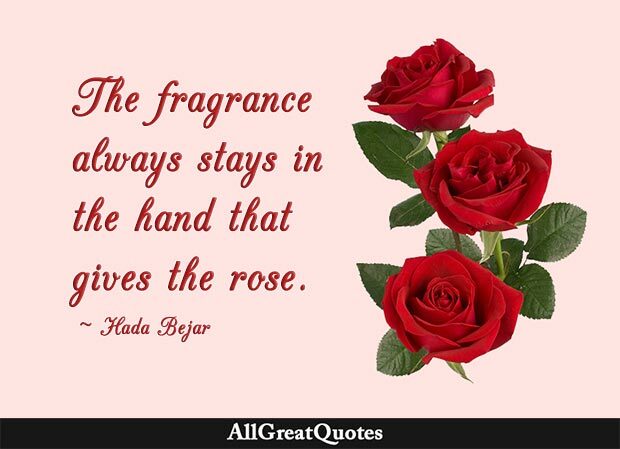 A rose that never wilts isn’t a rose at all. 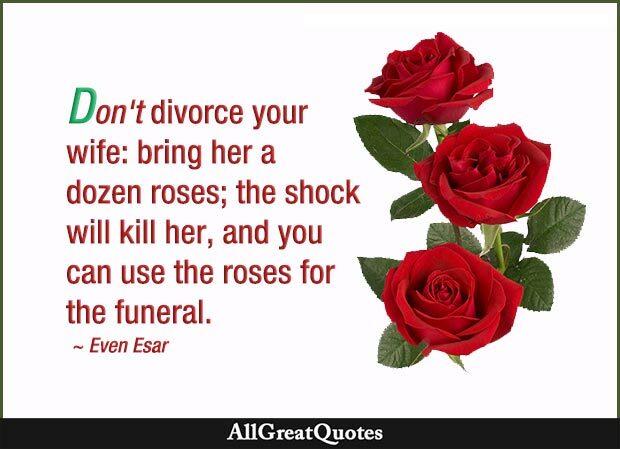 Don’t divorce your wife: bring her a dozen roses; the shock will kill her, and you can use the roses for the funeral. 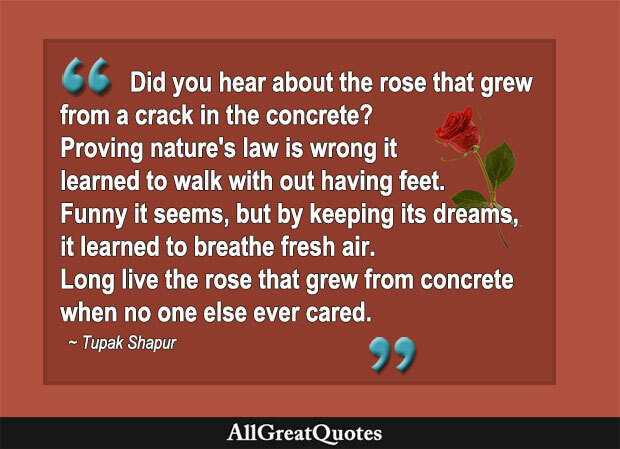 A rose is an argument. It proclaims the triumph of beauty over brutality, of gentleness over violence, of the ephemeral over the lasting, and of the universal over the particular. 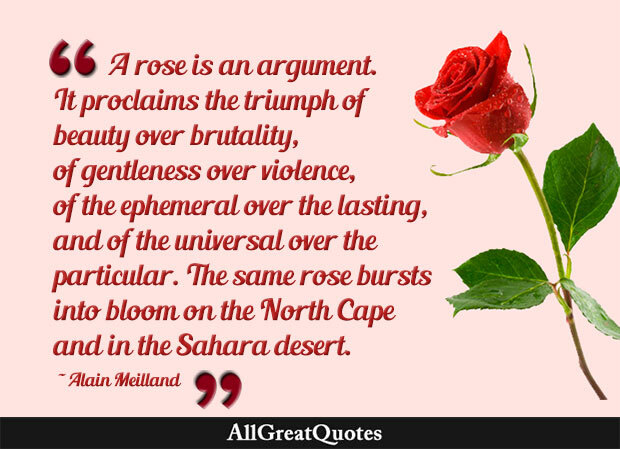 The same rose bursts into bloom on the North Cape and in the Sahara desert. Odes of Anacreon. Ode XLIV. 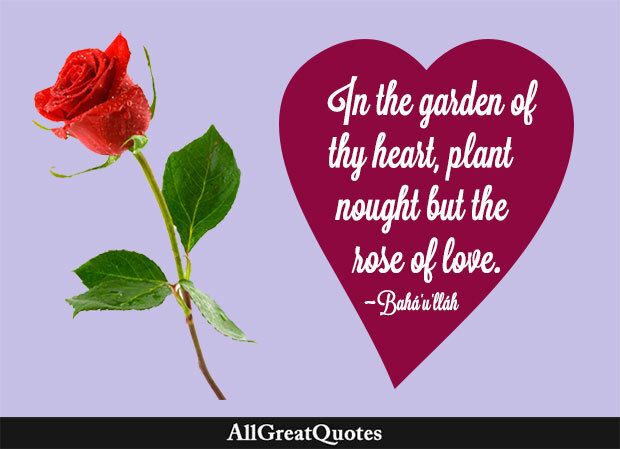 This love is the rose that blooms forever. 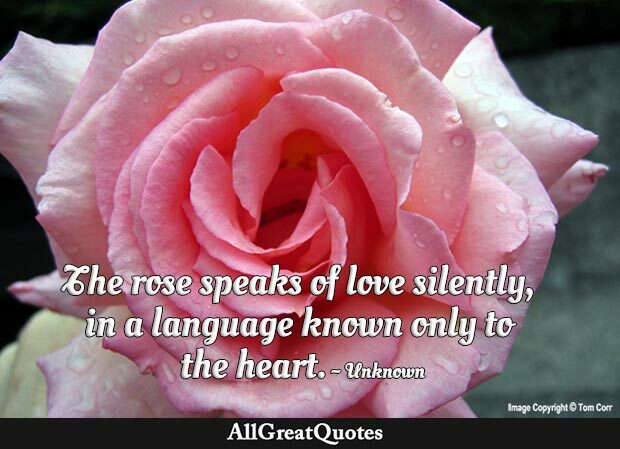 A single rose can be my garden…a single friend, my world. Won’t you come into the garden? I would like my roses to see you. 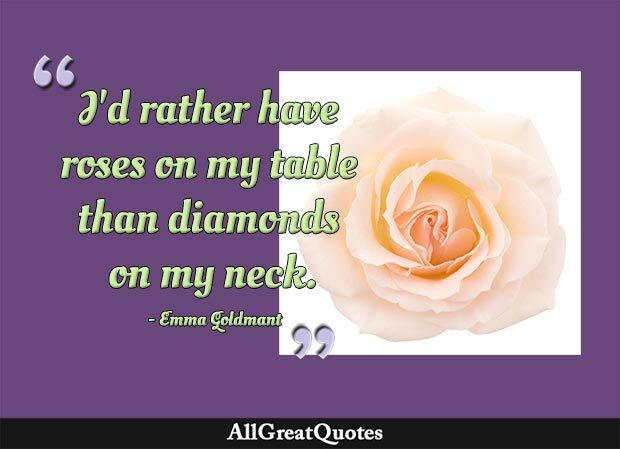 It’s a rare man that understands the value of a perfect rose. Romeo and Juliet, Act 2, Scene 2. May you never grow old in our hearts. Candle in the Wind. Song tribute to Princess Diana.